Our bakery-style Italian Cream Cake dish are a dessert blend recipe, nonetheless it ends up with level upon layer of a to-die-for from-scratch flavor that will make you feel like a celebrity baker. You are gonna love exactly how effortless it's to make this Italian Cream Cake meal! Preheat oven to 350 levels F. Grease and flour 3 (9-inch) circular dessert pans. In a large bowl with an electric powered mixer on moderate speed, beat dessert blend, eggs, buttermilk, and oil 2 minutes. Stir in coconut and 2/3 cup pecans. Pour into prepared dessert pans. Bake 15 to 17 mins, or until a toothpick inserted in center is released clean. Cool in pans on wire racks 10 minutes. Remove from pans and cool entirely on line racks. Sprinkle each dessert level with rum, if desired; let remain 10 minutes. Stir together frosting and remaining pecans. 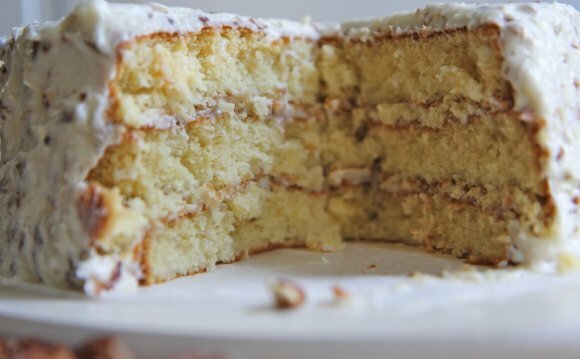 Spread frosting between levels as well as on top and edges of dessert (See guidelines). Chill 2 hours before slicing. Constantly cool the cake layers entirely and brush away excess crumbs before frosting. Stack the first 2 levels on a serving dish, bottom-side up, then put the top layer right-side up. This will make a straight and tall cake. Distribute a thin level of frosting on the edges setting any crumbs, after that distribute frosting generously regarding edges and tops. So now you've got an amazing level dessert!